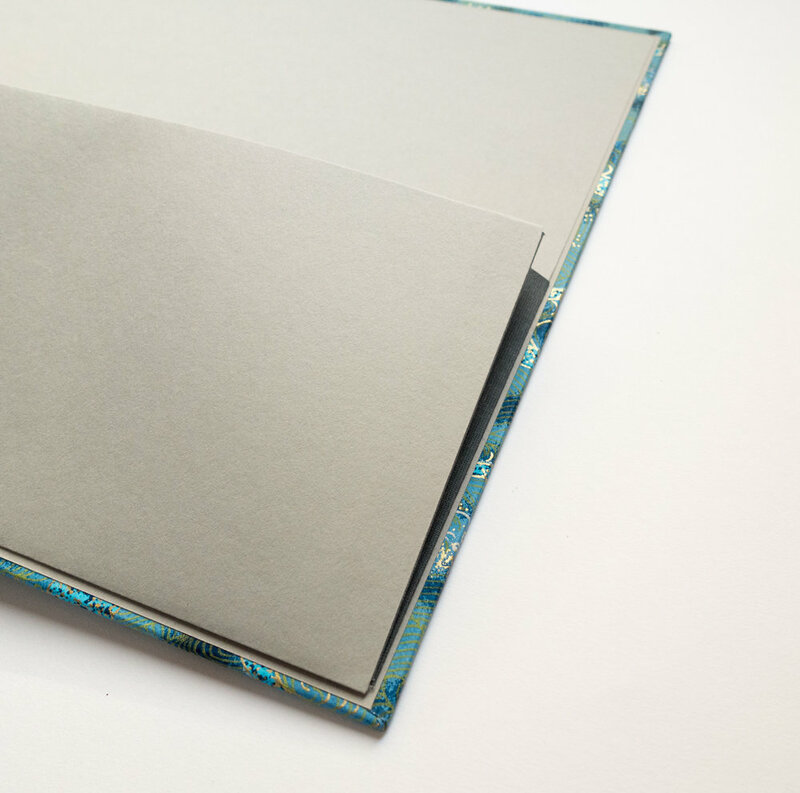 I was asked to make a book for a young couple who were about to get married to be given to them as a gift and used on the day as a Guest Book and also as a Keepsake Book. 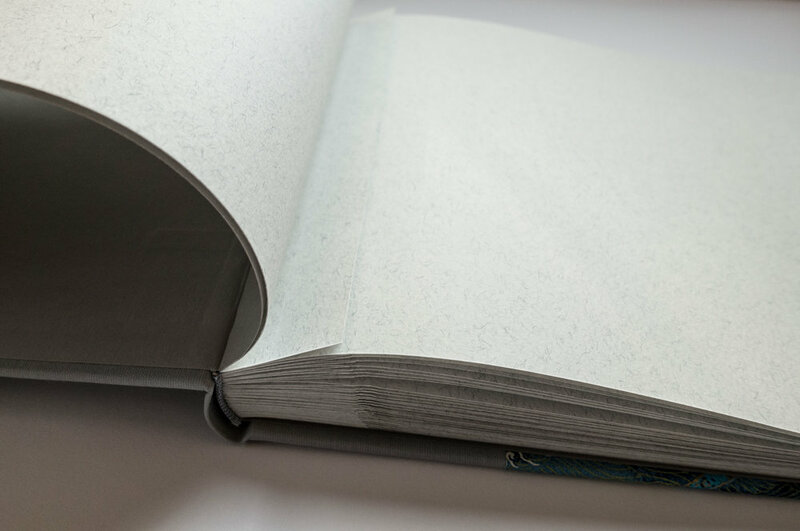 I used some lovely grey Fabriano Tiziano card for the text pages, bound in album style with compensating guards on each page to allow it to expand as it fills up. 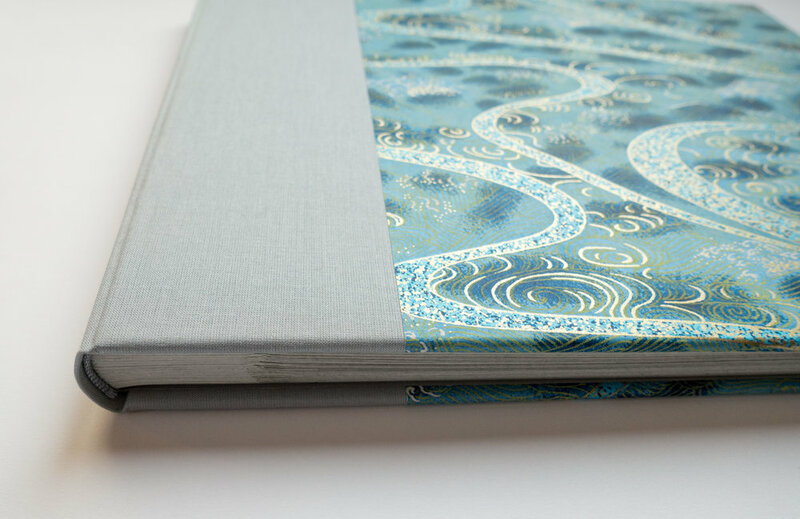 The case was wrapped in a Japanese Chiyogami 296 paper and I added a pocket in the back.